The Beauty Scoop! : The Botox Diaries - Days 1 to 4! Most of you are probably quite aware by now that I had Botox for the first ever time at the Wahanda event on Thursday evening and a lot of you showed interest in seeing the results. I decided that I would take a photograph every day to kind of record my progress and also show you how it is working, and also frankly how ridiculous I can look when I’m trying to frown whilst taking my own photograph. My face is always make-up free in these photographs so that you can see the true extent of the frown, with no interference or jiggery pokery in the results coming from having makeup on, so please do excuse my currently rather crap skin - oh and also the odd sized/angled photographs. 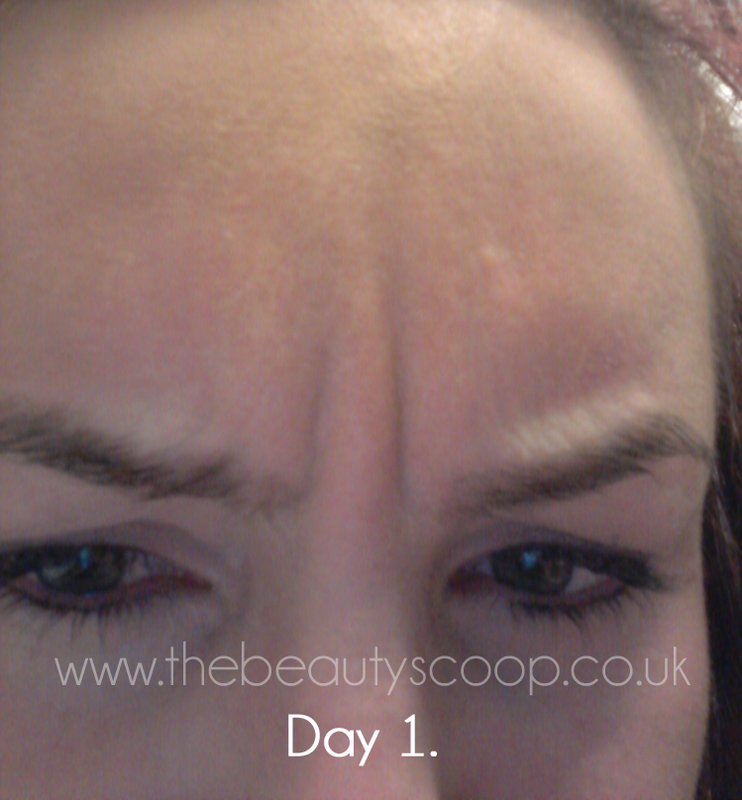 Day 1 – This is Thursday evening when I first had the Botox injected, like literally a couple of hours (maximum) later, so this is my true frown ‘before’ Botox! Day 2 – Not a huge change here, but this is expected really as it does take a few days to start taking effect. 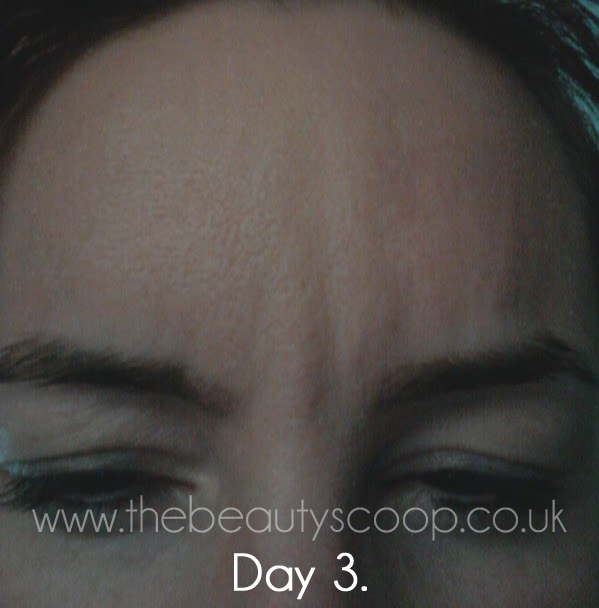 Day 3 – Starting to notice a little bit of tightness around the area, not painful or even bad, but just a little tauter than before. 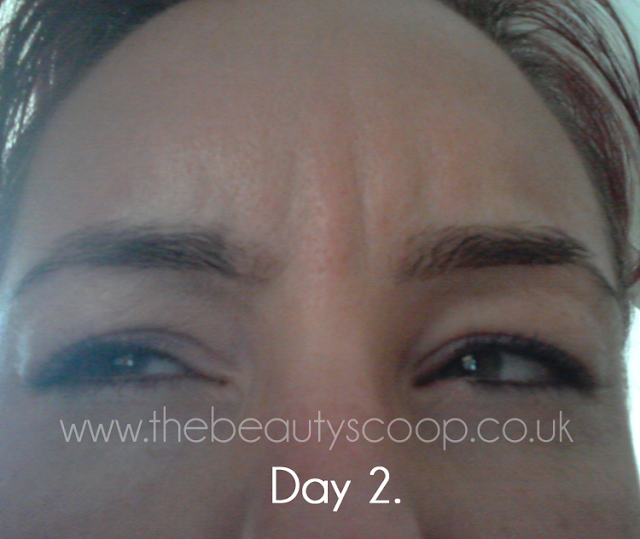 Day 4 – I’ve noticed that my frown line has really started to smooth out... it’s not gone completely but I’m starting to feel like the Botox is starting to do its work and that my auto-frown isn’t quite so auto anymore! This, incidentally is also the day that I struggled the most to take a photograph so along with the (rather rubbish) photograph is an even more bizarre video of me trying to frown for you – ha! 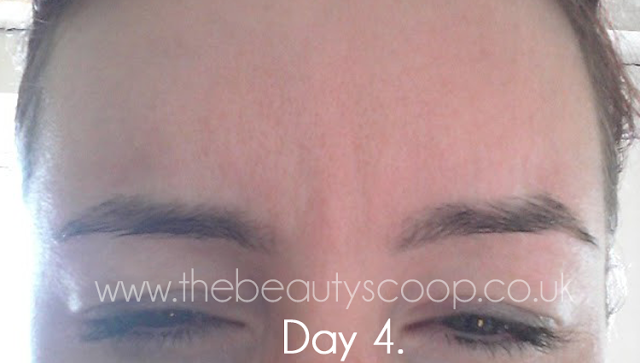 So far, so good with the Botox – I have absolutely no complaints both in terms of the person who did it (I’d recommend him to anybody, no hesitation), the feeling whilst having it done (pretty painless to be honest) and the after effects that I have had so far. I can’t believe I was ever so worried about having it done for so long. I was also nervous the first time, and also very pissed of because I wasn't able to see the result imediately. I asked my doctor about this and he explained me that the result of this treatment will be visible after about 6-8 days, and he was right. Now because the summer is here I want to do a botox Toronto treatment for excessive sweating, to be sure this problem won't bother me in the warm summer time. This is so helpful. Ive always wanted botox I seem to frown all the time when Im driving so Id love to have two lines on my forehead erased.